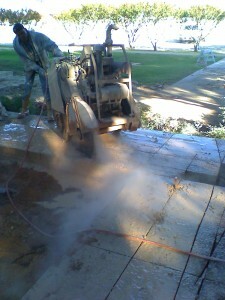 We also provide concrete removal services. From cutting, sawing to removal, we’ll handle all of your concrete removal needs. 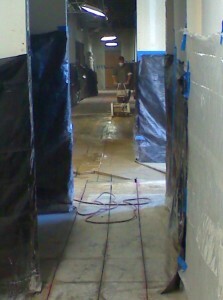 Most of the time after concrete is cut, customers need for it to be removed as well. 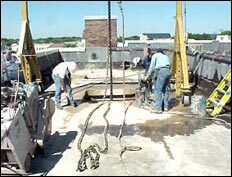 Structures that are being remodeled or repaired oftentimes require new plumbing or electrical beneath existing slab. 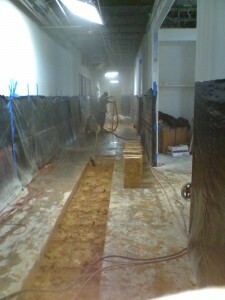 For interior remodeling, we use electric saws powered by a generator located on the operator’s truck. Electric saws are used inside so that no fumes are created that would be dangerous in an enclosed area. We then cut the concrete into manageable sections that are removed by hand (ie: loaded into a wheelbarrow or onto hand trucks). 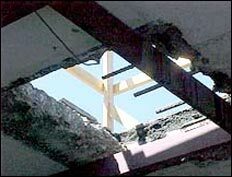 Sometimes, certain structures within the concrete must stay, so we can also jackhammer around those areas and not saw cut them completely. 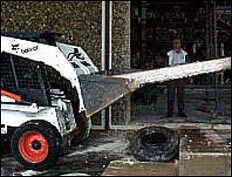 Exterior sawing is performed with diesel saws. 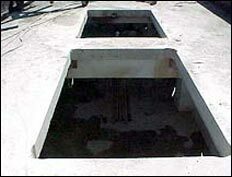 The concrete can be cut into larger sections for removal, saving both time and money on the concrete demolition. 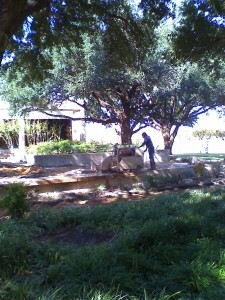 We then use bobcats, hoists, pallet jacks, and other equipment to remove these larger concrete pieces. In both cases, the concrete can be hauled off-site with our dump trucks. These pictures show the process of exterior cutting for removal for a job we did at Lockheed Martin in Grand Prairie, TX. 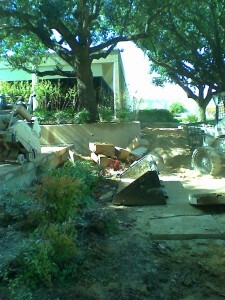 Here, on the right hand side is where our bobcat comes in to remove the concrete pieces.